The handlebars on a bicycle serve two purposes: steering and support. 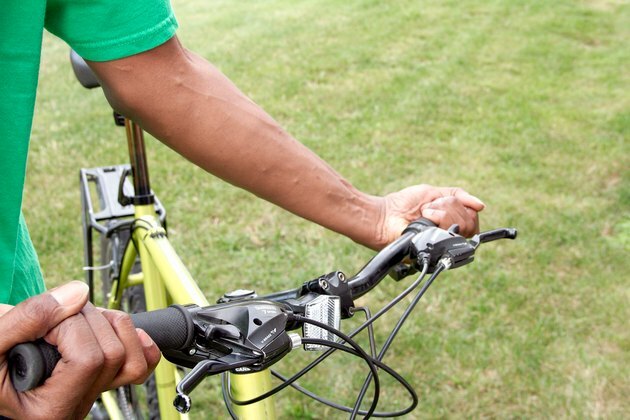 Loose handlebars are dangerous because they make it hard to turn properly and will not support your body weight, increasing the likelihood of an accident. 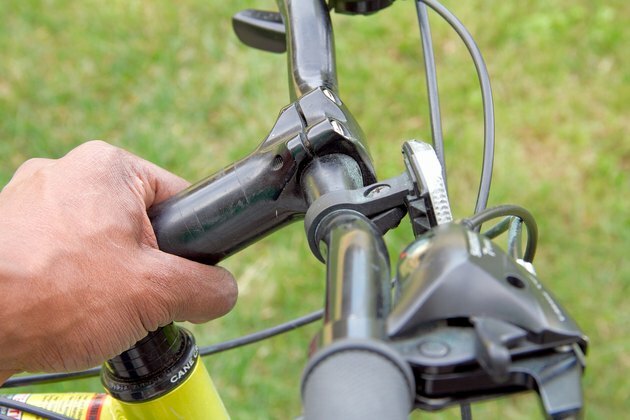 There are two locations where your handlebars can loosen: on the stem and headset. A loose stem allows the handlebars to twist freely, while a loose headset lets the handlebars turn out of sync with the wheel's position. 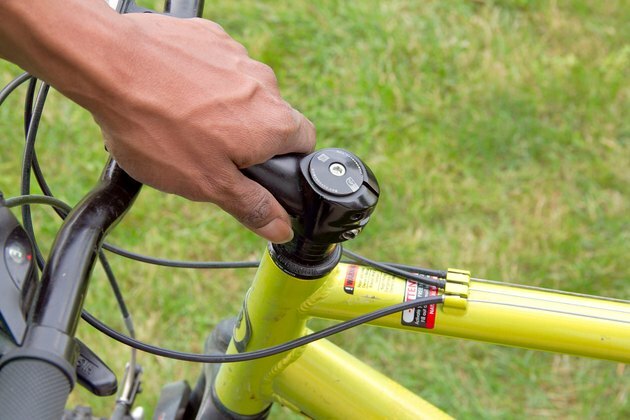 Locate the Allen nut at the top of your bicycle's handlebar headset. 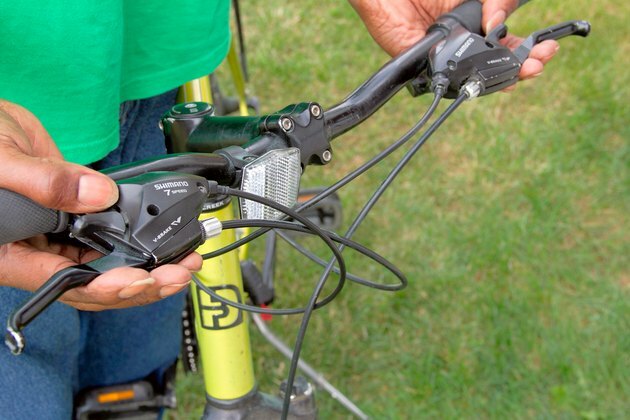 The headset is made up of components that connect your handlebar's stem to the fork of your bicycle. You may have to remove a plastic protector cap to see the bolt. Align your handlebars so they are square with your wheel, then tighten the Allen bolt with a 6-mm Allen wrench. Ensure the handlebars are tight enough by standing in front of your bicycle with the front wheel held between your legs. Try to turn the handlebars. Your legs should prevent the wheel and the handlebars from turning. 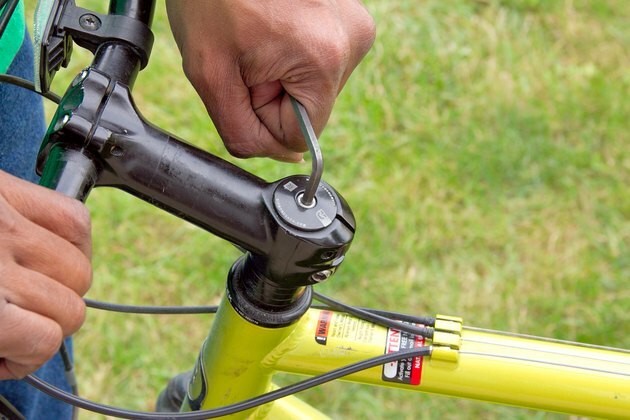 If your handlebars turn without your wheel turning, tighten the Allen bolt more. Locate the stem of your bicycle. It is the piece that connects the headset to the handlebars. Most stems are L-shaped and tighten onto the handlebars with a 6-mm Allen bolt. Rotate the handlebars so they are right side up, with brakes and gear levers in proper position. Hold the handlebars in place, then tighten the stem bolt with a 6-mm Allen wrench. Check that the handlebars are secure by attempting to twist and rotate them. If they are still loose, tighten the stem bolt more. 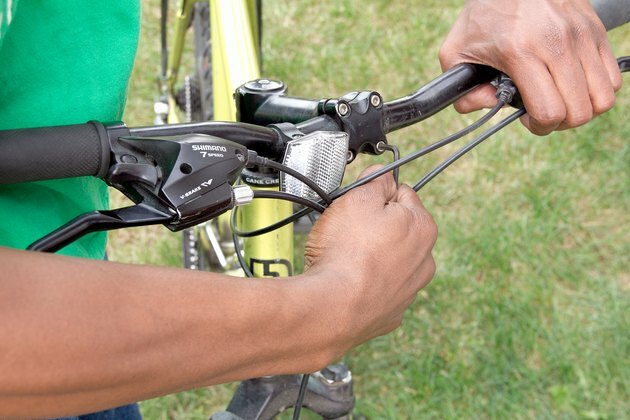 If your handlebars loosen frequently, you may have a faulty or stripped headset or stem. Take your bike to a repair shop if tightening does not solve the problem. Do not overtighten the Allen bolt as it may strip the threads and ruin the bolt.